State Medicaid agencies and Medicaid health plans increasingly recognize the importance of social support services, including nutritious food, as part of a holistic approach to addressing the needs of low-income older adults and enabling them to live independently. Medicaid health plans are especially well-positioned to identify nutrition-related needs for this population and address them through partnerships with community-based organizations. 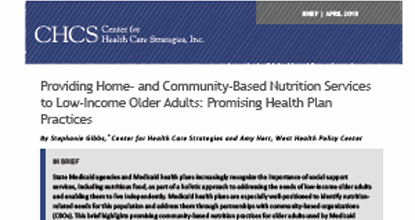 This brief, made possible with support from the West Health Policy Center, highlights promising community-based nutrition practices for older adults used by Medicaid health plans, including: (1) investing in staff with nutrition expertise; (2) using assessment data to target nutrition-related interventions; (3) replicating best practices from other member populations; and (4) leveraging community-based resources. 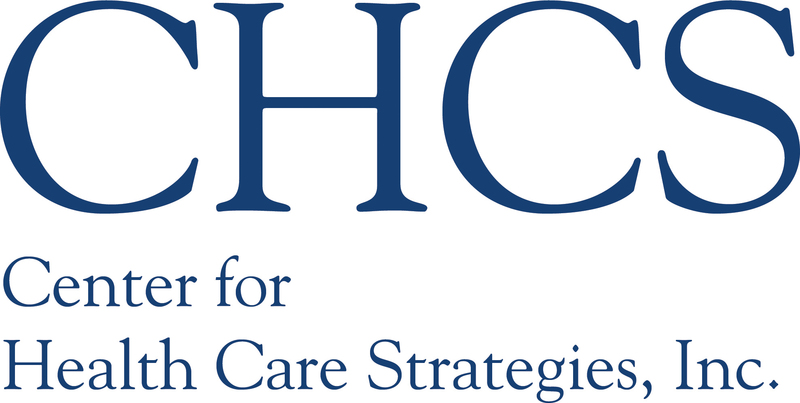 PLEASE READ THE FULL BRIEF IN CENTER FOR HEALTH CARE STRATEGIES, INC.